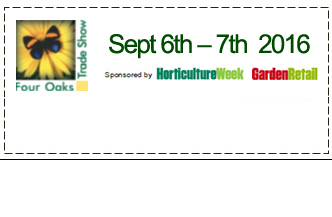 On the 4th- 6th September, we will be visiting the world’s leading garden trade fair, where over 2,000 exhibitors from around 60 countries present their innovations for the green oasis to almost 40,000 international trade visitors. The global exhibition is a decisive source of inspiration for the worldwide garden scene. It is three days of pure garden, from the fiery barbecue event, to the latest garden furniture and plant trends, through to exciting expert discussion rounds.